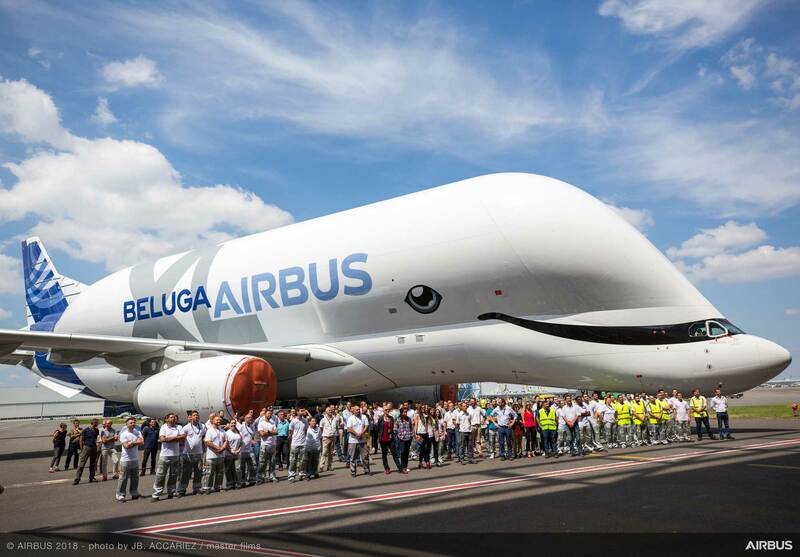 So that’s exactly what Airbus has done on the first of five BelugaXLs, which rolled out of the paintshop last week. The livery was one of six choices submitted to Airbus employees through a poll in which 20,000 people participated. With 40% votes in favour, the smiley livery won. The BelugaXL will now undertake ground tests before its first flight planned for later this summer. The BelugaXL, also known as A300-600ST Super Transporter, is based on the A330-200 Freighter, with a large re-use of existing components and equipments. It has one of the most biggest cargo holds of any civil or military aircraft flying today. The Beluga carries complete sections of Airbus aircraft from different production sites around Europe to the final assembly lines in Toulouse, France and Hamburg, Germany. 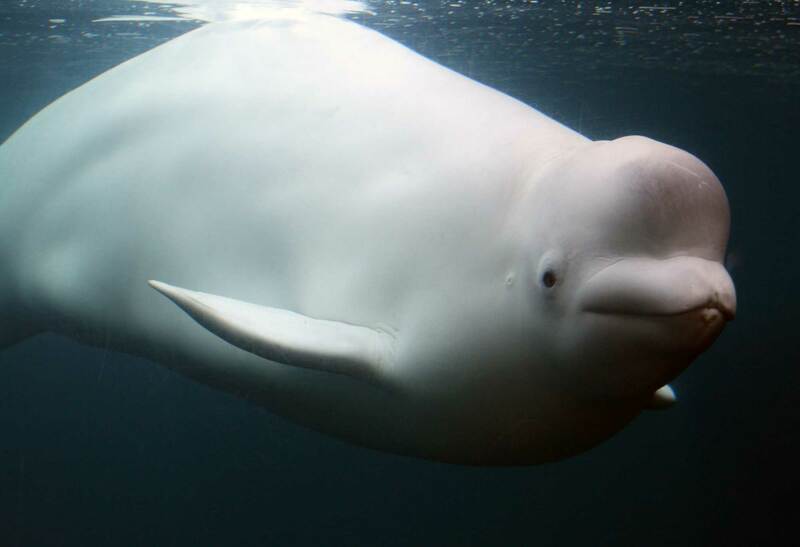 Snap… Beluga whale models for Airbus. The five-aircraft fleet of the existing A300-600ST Belugas transport fuselage sections, wings and tails for Airbus’ single-aisle A320 and widebody A330 families, along with parts for the A350 XWB. The bigger transporter is needed to support the A350 XWB ramp-up and other production rate increases.